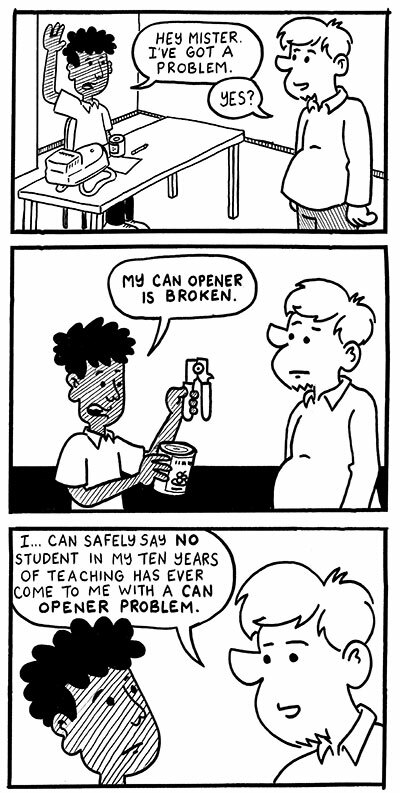 Teacher Comics: One lie is enough to question all truths. This is for real one of the most annoying things about teenagers doing silly stupid stuff in class. 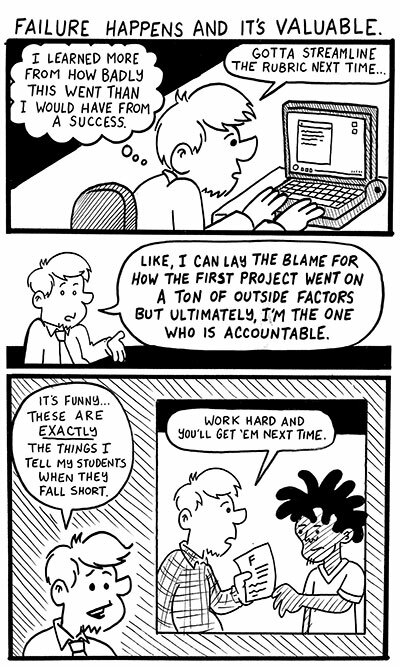 It’s not that they DO it… it’s that there’s a certain percentage of them who will NEVER admit to doing anything. Teacher Awards for Literacy – I won one! I received some genuinely cool news a few weeks ago that I wanted to share with y’all – I recently found out I am one of three winners of Penguin/Random House’s Teacher Awards for Literacy! 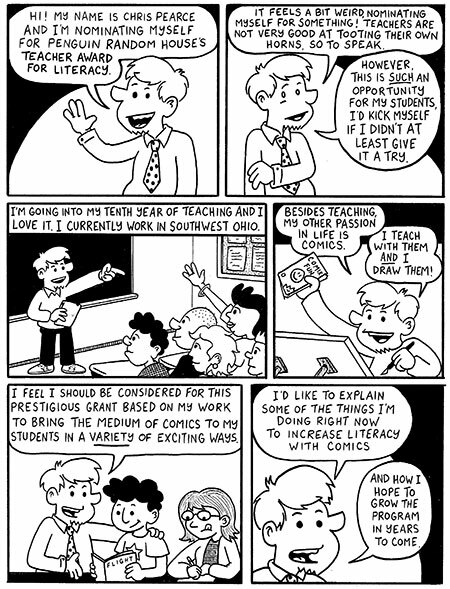 I’m going to get to build a program to teach using graphic novels in my classroom with some of the monies from the award and I get to go to the National Council of Teachers of English convention this November in Minneapolis! So, I nominated myself for this award and I drew a comic to go along with my application. I thought I’d put it up for y’all to check out. I’m sure I’ll talk more about the award and what it means to me in upcoming weeks but for now… Woohoo! 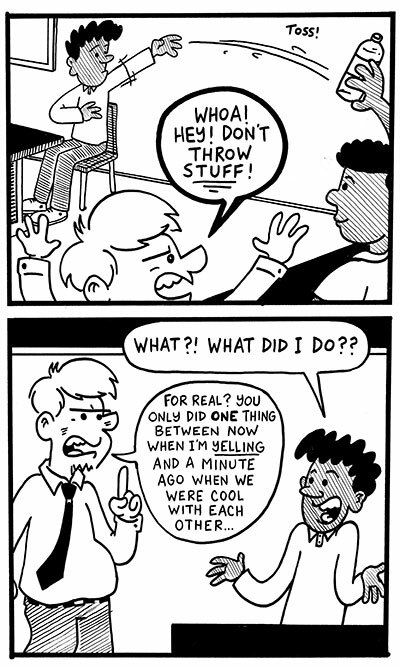 Teacher Comics: Work hard and get ’em next time. 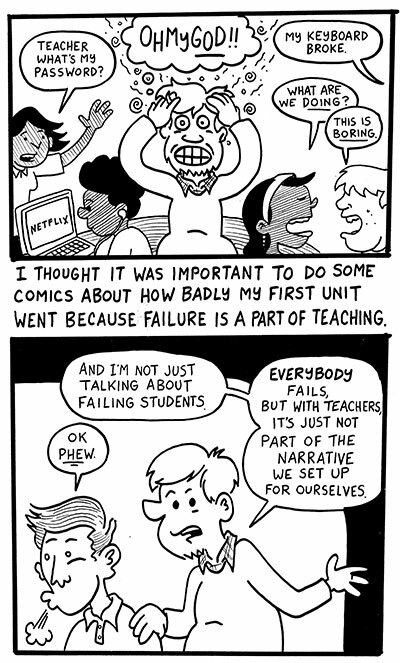 Teacher Comics: I’m a failure and that’s OK. 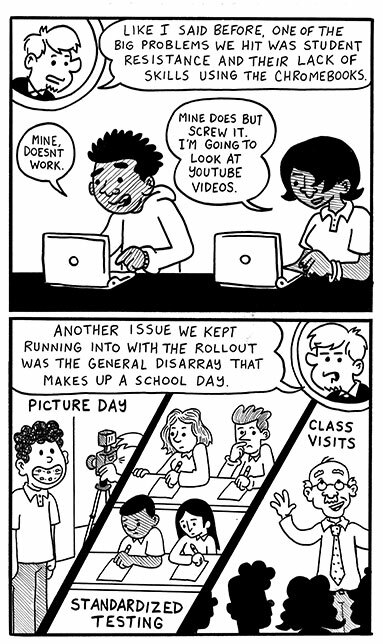 The annoying this is we DID plan for all of the inevitable non-educational disruptions that come with the beginning of any new school year… but we never planned for so many that would go on for SO long. You are currently browsing the Teachable Moments blog archives for October, 2015.